Mulching might seem like a chore that doesn't offer much in return, but if you're not doing it, you're missing out. When it comes time to prepare your garden or landscape for the winter, there's usually a question of whether or not to mulch. Some gardeners skip this step, because they either don’t know much about mulch or consider it to be a waste of time. 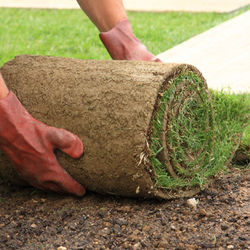 Of course, there are some significant benefits to be gained from applying mulch to your yard and garden. These basics will help convince you that mulch isn't something to be neglected. One of the first things people should know about mulch is what exactly it is. For starters, it's commonly made from both organic and inorganic products, and it's meant to be laid on top of the soil. While it may seem high maintenance to some, it actually cuts down on the amount of overall garden maintenance you have to do. Wood chips and shredded-up car tires are some common mulching materials. There are a few benefits that all types of mulch offer. For one thing, it adds a nice decorative touch to your garden. It often comes in a variety of colors and can really make your garden beds pop. It also helps keep moisture in the soil. Without mulch, water in the ground evaporates out much easier, especially when the sun is beating down on the land. Mulch keeps the soil cooler and keeps the water in. In the wintertime, mulch insulates the soil and protects it from the cold. More specifically, it protects the roots of your perennials, trees, and shrubs. Another thing that makes all that heavy lifting worth it is the fact that mulch also acts as a weed barrier. Mulch helps to suppress the growth of weeds, so you won’t have to worry about weeding as often as you did before. By extension, this means that mulch also helps reduce the spread of some plant-borne diseases. If you happen to live in an area where erosion is a problem, mulch can also help with that. Since it puts an extra layer between your soil and the harsh natural elements, mulch reduces the overall amount of erosion that occurs. Of course, there are also some benefits that are more specific to the type of mulch you choose. For instance, organic mulch offers the added benefit of enriching your soil. As the organic materials break down over time, it puts nutrients back into the ground. This breakdown makes for healthy soil and can even attract beneficial bugs, like earthworms, to your garden. Inorganic mulch can't give you that, but it typically doesn’t have to be applied as often as its organic counterpart. It can be an excellent low-maintenance option because you won’t have to go out and buy a new batch of it every single year. 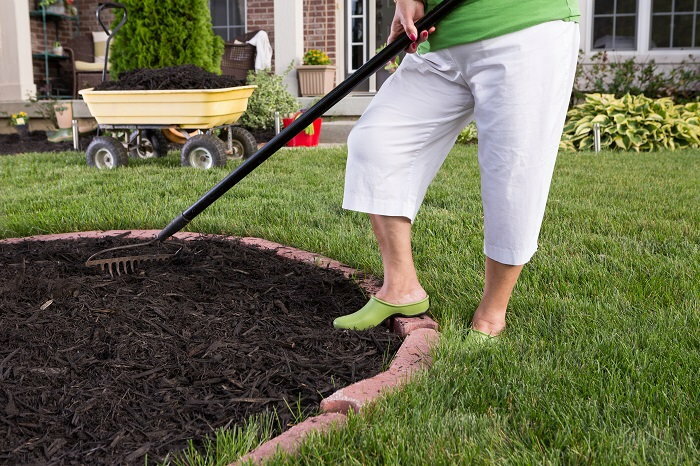 To ensure that it does the job it's supposed to do and doesn’t harm your yard or garden, it's important to keep a few things in mind when applying mulch. When to apply mulch is often a matter of personal preference. Some people prefer to mulch before they’ve planted. Then, they just dig out a small area and plant their vegetables in it. 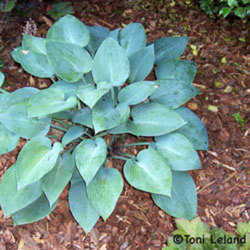 Others prefer to plant first, and apply mulch around the plants when they're already in place. If you do it this way, you’ll need to be careful not to damage any seedlings in the process. Don’t apply it too thickly or thinly. If there's not enough mulch in a particular area, the soil there won't be able to reap the full extent of its benefits. On the other hand, too much mulch causes its own set of problems. For instance, an overly thick layer of mulch can prevent water from getting into the soil or cause it stay wet for long periods of time, something which results in root rot. It can even keep oxygen from your plants. That's why you want to aim for a layer that’s at least one, but no more than three, inches thick. Don’t crowd your plants with mulch. Too much mulch around the stems of your plants or trunks of your trees can be dangerous, as it can result in the retention of too much moisture. This issue can also result in root rot. Plus, it gives pests an easy home right next door to their favorite food source. 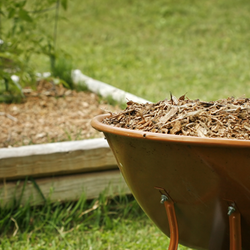 Water your organic wood or bark mulch after you’ve spread it out. This watering can help prevent problems with microorganisms like fungi, who might try to take it over after being applied. You'll also want to apply some nitrogen to your garden when using mulch that’s made from wood. 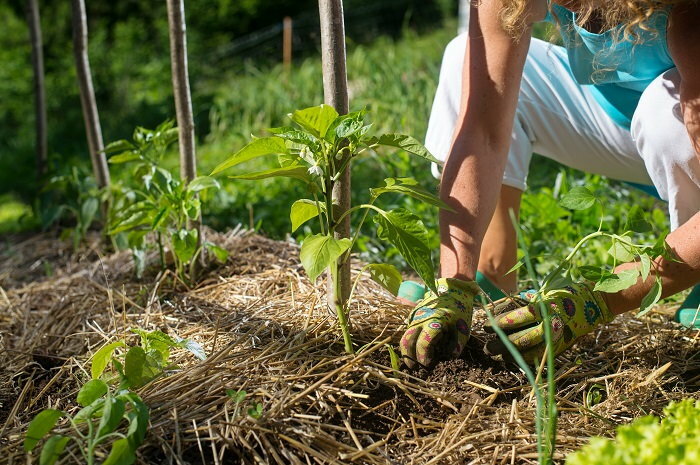 These mulching basics will not only help you beautify your yard and garden, but they'll also allow you to reap all the benefits that mulch has to offer. It can be annoying to deal with mulch when it comes to buying it, getting it home, and putting it all over your yard. However, that annoyance is easily offset by the amount of watering and weeding you'll be cutting down on. Shannon McKee is an urban gardener that has been gardening seriously for over ten years now. Much to her husband’s chagrin, every year it seems like her once little patch of the backyard gets bigger and bigger. She’s always looking for ways to get the most out of her garden without spending a fortune. She focuses mostly on vegetables, but a few flowers and fruits pop up in her yard here or there. There’s nothing better in her mind than heading out to the garden and making a healthy snack to enjoy during the day. As a stay at home mom who works from home, she de-stresses by getting her hands dirty. Shannon has been a professional writer for over seven years now, and always enjoys getting to write about topics she’s passionate about in her own life. One of her biggest strengths as a gardener and writer is that she loves researching new things and trying to always learn something new. She enjoys stretching her mind to be able to learn more about how to be a better gardener and writer. You can find her at her blog about working at home, whyiwah.blogspot.com.